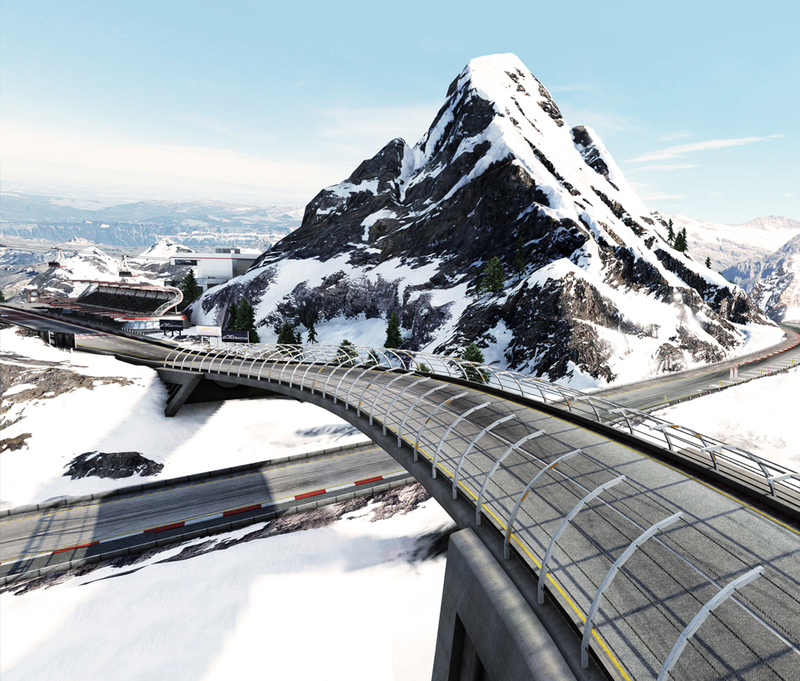 Whether it’s the tight turns or the breathtaking scenery, mountain passes and fast cars seem to play well together. In that spirit, the Bernese Alps distills the ultimate high-altitude driving experience into a state-of-the-art road course the equal of the world’s greatest circuits. This track was inspired by the mystique and challenge of the passes nestled among the highest mountain range in Europe, threading the course along old mountain access roads, through tunnels cut into living rock, under craggy glacier-studded summits, past a luxury ski resort, and down to a quintessentially Swiss mountain town. The course is offered in three challenging configurations. There’s the full Festival Circuit, the Stadplatz variant, and the shorter Club Circuit. The primary characteristic of Bernese Alps is the overwhelming sensation of speed. 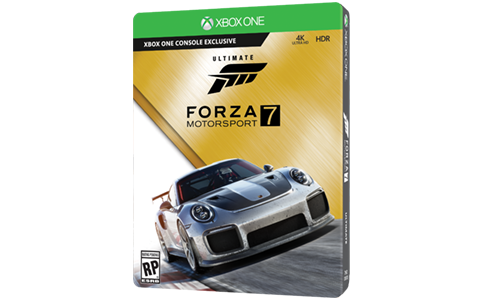 The tarmac is wide and forgiving, allowing you to stay on the track while maintaining a fast clip; throughout much of the course, you’ll be at full throttle. Despite all the room between the rumble strips, you’ll have to exercise exceptional control to hit the apexes perfectly. 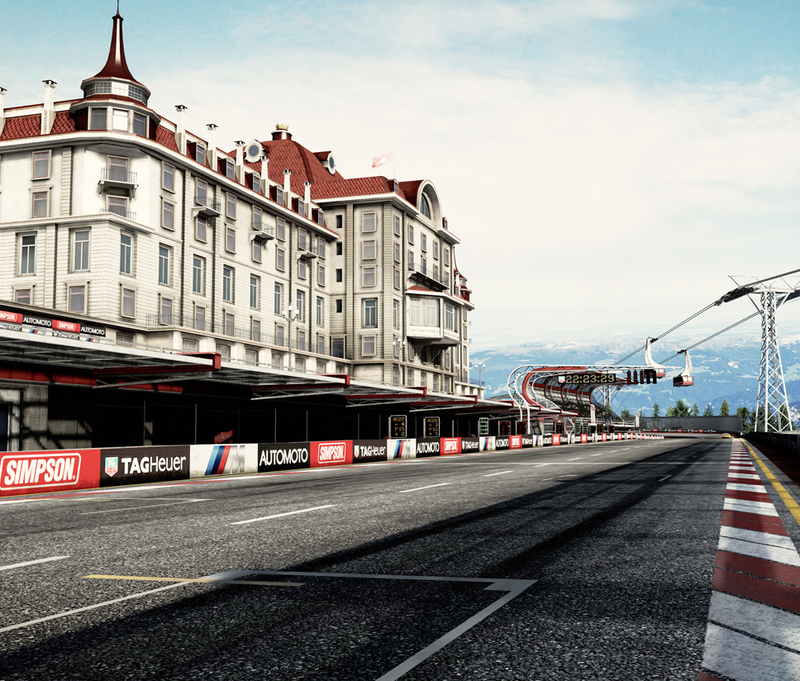 Taken as a whole, the Alps course provides the awesome rush of velocity for any racer, but exceptional challenges for those working on honing their Forza skills.